Church 200 Years Anniversary As church we were Established in Dec 1817 and as such we are celebrating our 200 years of service within the local community. Our new premises will be a significant part of our celebrations. It has been great to be back home in our own premises. We had great fellowship with our sister church, West Ham Baptist Tabernacle in West Ham Road, Stratford. There have been a range of challenges getting the building operational but we thank the Lord for the overall provision of the new building. As a church we do not get involved in hiring our our premises. 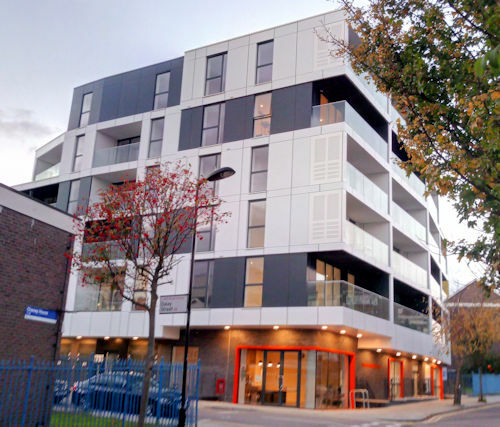 Our building is however available to the local community via HBC Community Centre, a charity we have established for the purpose of providing, maintaining and investing in the building. For more information visit our website homerton.london or our Facebook Page. 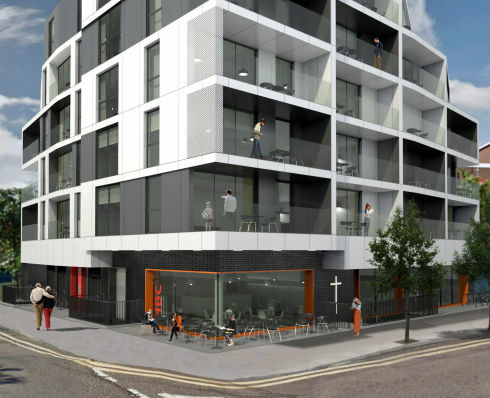 There is a great deal to do in order to re-establish the work of the church in Homerton. Pray that as we get our feet again in the new premises that we will be able to work on the work of engaging with the local community. We are an independent non-denominational Grace Baptist Church and have been in the area of Homerton, Hackney (East London), since 1817. We hold to the teachings of the Bible as expressed in the Baptist Confession of Faith 1689 and Baptist Affirmation of Faith 1966. The church has used the current site since 1962, having previously been sighted in Homerton Row, Hackney. We view ourselves as very much part of the community and have had the opportunity during the London 2012 Olympic Games to hold a number of community events. "We have an average weekly attendance of 80+ of which 64% are local residents, 60% are under the age of 35, and 11+ nations are represented." We extend a warm welcome to local residents, living in Homerton and Hackney as a whole, visitors and holiday makers to join with us for our services each Sunday, and weekday events. Full details of these are provided under 'Services' in the menu above. The Above image is the Artists Impression provided during the planning process. 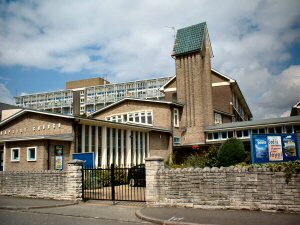 Our previous church premises was built in 1962, on the same plot of land. We cater for families, couples and single people providing a warm, friendly, and welcoming family environment. We are a multi-ethnic congregation with representatives from Africa, Asia, Caribbean, Europe, and South America. We however view ourselves as members of a single family of God. One demonstration of our unity as a family is that in our weekly after church fellowship we celebrate the birthdays that arise in that particular week. So you will most likely get a slice of birthday cake if you come and join us one Sunday. "Visiting HBC felt like being welcomed into a family"
We are currently in a redevelopment phase and so are meeting with our sister church in Stratford. Please visit our Sunday Services page for more details. "Services provide a clear and helpful explanation of the Christian Belief"
If you need to find out how to get to us via public or private transport please visit the Contact page, and view the Map provided.